….Also, Who Were The MIDIANITES? The question to ask is, who was Yitro/Jethro (also known as Reul/Raguel)? Moses’ father-in-law was called by the names of Reul and Jethro. He was actually a Counsellor to Pharaoh in Egypt and Priest of Midian. Entymology: What exactly was the name of Moses’ father-in-law? 16 Now the priest of Midian had seven daughters. And they came and drew water, and they filled the troughs to water their father’s flock. 11 Heber the Kenite had separated from the other Kenites (the descendants of Hobab, Moses’ father-in-law). Heber went as far away as the oak tree at Zaanannim near Kedesh and set up his tent. In Numbers 10:29, the Hebrew for the name Raguel is the same as the Hebrew for Reuel. The reason for the difference is that the Hebrew character ע (ayin) in רעואל is sometimes used merely as a vowel and sometimes as “g”, “ng”, and “gn”, because of the difficulty of its pronunciation by European speakers. Re-u-el, with the first syllable strong accented, is nearer to the true pronunciation. Some suppose he was father to Hobab, who was also called Jethro, a likely possibility. Another thing to consider is that there is only one Biblical Hebrew word for both “brother-in-law” and “father-in-law” (chathan). It is, in fact, the word for any and all relations by marriage. 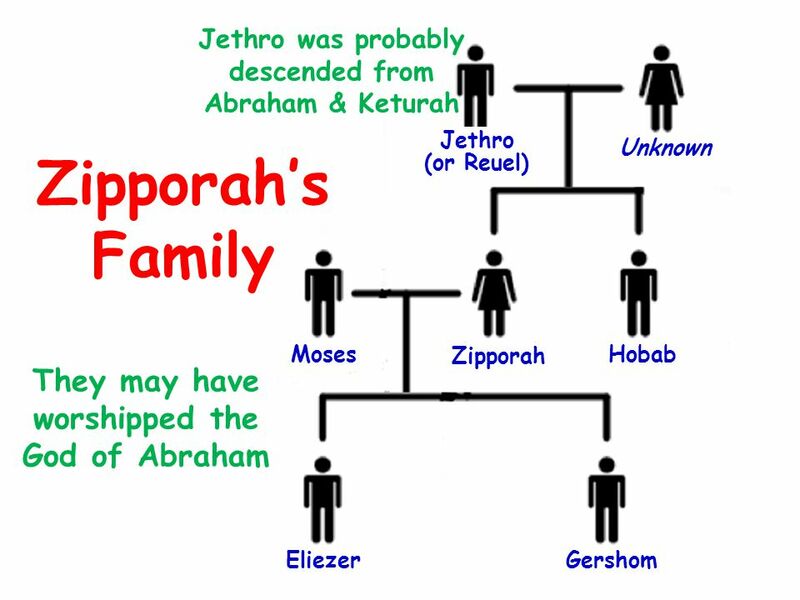 If one takes into account the Biblical custom of multiple names for one person as well as Numbers 10:29 calling Hobab Reuel’s son, Reuel and Jethro both appear as Moses’ father-in-law, while Hobab may be seen as his brother-in-law. However, this is disputed among theologians (Reference: Wikipedia). Studying about Reul/Jethro gives us the opportunity to get to know the MIDIANITES better. When we hear Midian or MIDIANITES, what comes to mind? According to the Holy Biblical Scriptures, Midian was one of Abraham’s sons. His mother’s name was Keturah. She was Abraham’s third wife. Midian was therefore a relative of Israel. Midian was Israel’s Uncle. Abraham did not allow Midian to grow up close to Isaac because Isaac was the Special Child of Promise. Abraham did not want anything to happen to him especially after his death. He therefore protected Isaac by sending all his other children away from him with their inheritance (as had been previously advised by his late wife Sarah after having Ishmael). The fake Christian religion is the great whore and mother of all harlots spoken of in the Book of Revelation. The main common thing amongst its daughters is Sunday worship observation. There are others and they include, Christmas and Easter observation which involves the worship of Ishtar and Nimrod. Islam and other religions also worship Ishtar and Nimrod unknowingly. So end of diversion, who exactly were the MIDIANITES? Jethro is referred to as a Midianite. Who exactly was Midian? 25 Abraham married again, and his wife’s name was Keturah. 2 Keturah gave birth to these sons of Abraham: Zimran, Jokshan, Medan, Midian, Ishbak, and Shuah. 3 Jokshan was the father of Sheba and Dedan. Dedan’s descendants were the Assyrians, the Letushites, and the Leummites. 4 The sons of Midian were Ephah, Epher, Hanoch, Abida, and Eldaah. These were the descendants of Keturah. 5 Abraham left everything he had to Isaac. 6 But while he was still living, Abraham had given gifts to the sons of his concubines. [a] He sent them away from his son Isaac to a land in the east. 7 Abraham lived 175 years. 8 Then he took his last breath, and died at a very old age. After a long and full life, he joined his ancestors in death. 9 His sons Isaac and Ishmael buried him in the cave of Machpelah in the field of Ephron, son of Zohar the Hittite. The cave is east of Mamre. 10 This was the field that Abraham had bought from the Hittites. There Abraham was buried with his wife Sarah. 11 After Abraham died, Elohimblessed his son Isaac, who settled near Beer Lahai Roi. It is clear in the above scriptures that Midian was one of the many sons of Abraham through his third wife, Keturah (remember that Hagar was his second wife and had Ishmael for Abraham). Keturah was a Canaanite woman. Abraham married her because Sarah had died and he needed a companion. 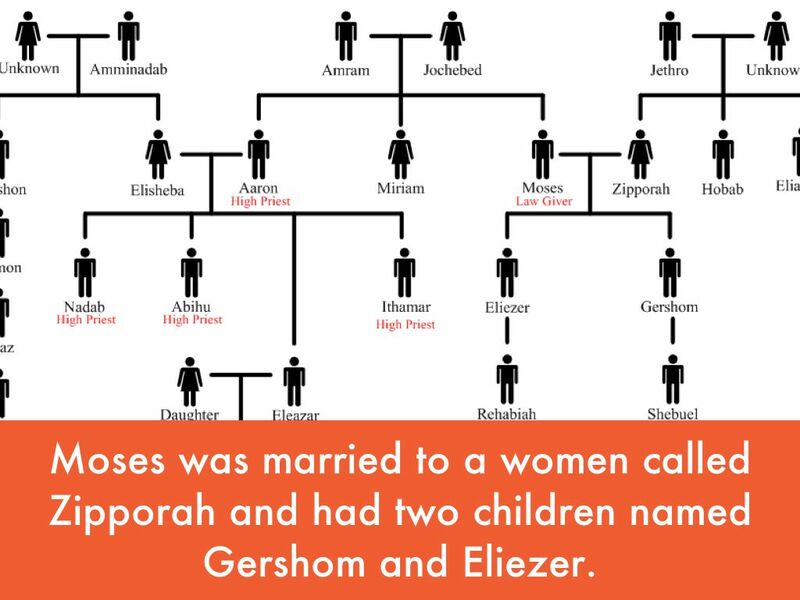 Through, Keturah, Abraham ended up having more children (6 more). This points to the PROMISE made to him by YAHUVEH ELOHIM concerning being fruitful and multiplying in his old age. Abraham had more sons than just Isaac (by Sarah) and Ishmael (by Hagar). He also had six sons by Keturah, his wife after the death of Sarah: Zimran, Jokshan, Medan, Midian, Ishbak, and Shuah (Genesis 25:2). The Midianites were the descendants of Midian and therefore children of Abraham. They settled in “the land of the east” (Genesis 25:6). 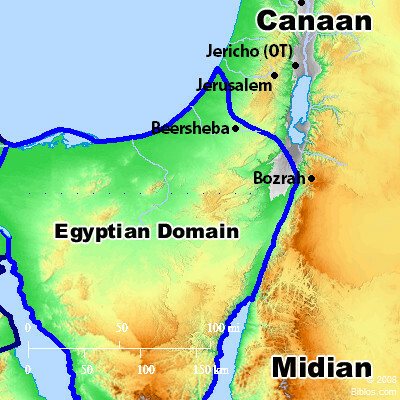 Most scholars believe the land of Midian was officially on both sides of the Gulf of Aqaba, although the Midianites showed nomadic tendencies later in their history (see Habakkuk 3:7, ESV). When Moses fled the wrath of Pharaoh, he traveled to Midian (Exodus 2:15). There, Moses met and married his wife, Zipporah, and served his father-in-law, Jethro, as a shepherd for forty years. The fact that Jethro was “a priest of Midian” (Exodus 2:16) indicates that the Midianites, at least during Moses’ time, still retained the knowledge of the GOD of their father Abraham (cf. Jethro’s words and actions in Exodus 18). At the end of Moses’ time in Midian, YAHUVEH ELOHIM appeared to Moses—still in Midian—and commissioned him to lead the Israelites out of slavery (Exodus 3—4). As the children of Israel traveled through the wilderness, they employed the services of a guide familiar with the desert—Moses’ Midianite brother-in-law, Hobab (Numbers 10:29). However, the relations between the Israelites and the Midianites began to sour when the Midianites joined forces with the Moabites in order to hire Balaam to curse Israel (Numbers 22). Later, when Israel fell into idolatry and sexual sin with the Moabite women (Numbers 25), we find that a prominent Midianite woman was also involved (Numbers 25:6). 6 And indeed, one of the children of Israel came and presented to his brethren a Midianite woman in the sight of Moses and in the sight of all the congregation of the children of Israel, who were weeping at the door of the tabernacle of meeting. 7 Now when Phinehas the son of Eleazar, the son of Aaron the priest, saw it, he rose from among the congregation and took a javelin in his hand; 8 and he went after the man of Israel into the tent and thrust both of them through, the man of Israel, and the woman through her body. So the plague was stopped among the children of Israel. The LORD YAHUVEH then told Moses to wage war against the Midianites: “Treat the Midianites as enemies and kill them. They treated you as enemies when they deceived you in the Peor incident involving their sister Kozbi, the daughter of a Midianite leader” (Numbers 25:17–19). The Israelites did eventually attack the Midianites, meting out divine retribution against their enemies (Numbers 31). Five kings of the Midianites were killed, as was Balaam (Numbers 31:8). This battle was one of the last things Moses accomplished as leader of the Israelites. 8 They killed the kings of Midian with the rest of those who were killed—Evi, Rekem, Zur, Hur, and Reba, the five kings of Midian. Balaam the son of Beor they also killed with the sword. During the time of the judges, “the Midianites, Amalekites and other eastern peoples invaded the country” and plundered the land (Judges 6:3). 3 So it was, whenever Israel had sown, Midianites would come up; also Amalekites and the people of the East would come up against them. For seven years, “Midian so impoverished the Israelites that they cried out to the Lord for help” (verse 6). YAHUVEH ELOHIM answered their cries and raised up Gideon as a deliverer. With just 300 men, Gideon defeated the armies of the Midianites, although the foe was “thick as locusts. Their camels could no more be counted than the sand on the seashore” (Judges 7:12). Of course, YAHUVEH ELOHIM was involved, and He was the One who granted the victory over the Midianites (verse 22). 23 But Gideon said to them, “I will not rule over you, nor shall my son rule over you; the Lord shall rule over you.” 24 Then Gideon said to them, “I would like to make a request of you, that each of you would give me the earrings from his plunder.” For they had golden earrings, because they were Ishmaelites. 25 So they answered, “We will gladly give them.” And they spread out a garment, and each man threw into it the earrings from his plunder. 26 Now the weight of the gold earrings that he requested was one thousand seven hundred shekels of gold, besides the crescent ornaments, pendants, and purple robes which were on the kings of Midian, and besides the chains that were around their camels’ necks. 27 Then Gideon made it into an ephod and set it up in his city, Ophrah. And all Israel played the harlot with it there. It became a snare to Gideon and to his house. Later references to the Midianites include allusions to YAHUVEH ELOHIM’S victory over them (Psalm 83:9; Isaiah 10:26). And, in a prophecy of Israel’s future glory in the Messianic kingdom, Isaiah writes, “Herds of camels will cover your land, / young camels of Midian and Ephah. / And all from Sheba will come, / bearing gold and incense / and proclaiming the praise of the Lord” (Isaiah 60:6). 25 For yet a very little while and the indignation will cease, as will My anger in their destruction.” 26 And the Lord of hosts will stir up a scourge for him like the slaughter of Midian at the rock of Oreb; as His rod was on the sea, so will He lift it up in the manner of Egypt. Why did Jethro leave and end up back in Midian, his land? For us to understand this better, we need to read from the Book of Jasher which is also known as the Book of the Upright Man/Just Man. I do not know how Yitro ended up in Egypt but one thing I do know is that he was there for a purpose. One of the purposes was to retrieve “The Staff of Moses”. This staff had been passed down the generations from Adam. It had been handed to Adam by YAHUVEH ELOHIM and actually bore the name: “YAHUVEH” on it in the Hebrew Language. It was very special and powerful. Some people have tried to find it in this present day but haven’t. I believe there is a purpose for that. 41 And when Pharaoh heard the words of Jethro he was very angry with him, so that he rose with shame from the king’s presence, and went to Midian, his land, and took Joseph’s stick with him. Moses later met him in Midian where he married his wife, Zipporah. 1 There was a man in the land of Egypt of the seed of Levi, whose name was Amram, the son of Kehath, the son of Levi, the son of Israel. 2 And this man went and took a wife, namely Jochebed the daughter of Levi his father’s sister, and she was one hundred and twenty-six years old, and he came unto her. 3 And the woman conceived and bare a daughter, and she called her name Miriam, because in those days the Egyptians had embittered the lives of the children of Israel. 4 And she conceived again and bare a son and she called his name Aaron, for in the days of her conception, Pharaoh began to spill the blood of the male children of Israel. 5 In those days died Zepho the son of Eliphaz, son of Esau, king of Chittim, and Janeas reigned in his stead. 6 And the time that Zepho reigned over the children of Chittim was fifty years, and he died and was buried in the city of Nabna in the land of Chittim. 7 And Janeas, one of the mighty men of the children of Chittim, reigned after him and he reigned fifty years. 8 And it was after the death of the king of Chittim that Balaam the son of Beor fled from the land of Chittim, and he went and came to Egypt to Pharaoh king of Egypt. 9 And Pharaoh received him with great honor, for he had heard of his wisdom, and he gave him presents and made him for a counsellor, and aggrandized him. 10 And Balaam dwelt in Egypt, in honor with all the nobles of the king, and the nobles exalted him, because they all coveted to learn his wisdom. 11 And in the hundred and thirtieth year of Israel’s going down to Egypt, Pharaoh dreamed that he was sitting upon his kingly throne, and lifted up his eyes and saw an old man standing before him, and there were scales in the hands of the old man, such scales as are used by merchants. 12 And the old man took the scales and hung them before Pharaoh. 13 And the old man took all the elders of Egypt and all its nobles and great men, and he tied them together and put them in one scale. 14 And he took a milk kid and put it into the other scale, and the kid preponderated over all. 15 And Pharaoh was astonished at this dreadful vision, why the kid should preponderate over all, and Pharaoh awoke and behold it was a dream. 16 And Pharaoh rose up early in the morning and called all his servants and related to them the dream, and the men were greatly afraid. 17 And the king said to all his wise men, Interpret I pray you the dream which I dreamed, that I may know it. 18 And Balaam the son of Beor answered the king and said unto him, This means nothing else but a great evil that will spring up against Egypt in the latter days. 19 For a son will be born to Israel who will destroy all Egypt and its inhabitants, and bring forth the Israelites from Egypt with a mighty hand. 20 Now therefore, O king, take counsel upon this matter, that you may destroy the hope of the children of Israel and their expectation, before this evil arise against Egypt. 21 And the king said unto Balaam, And what shall we do unto Israel? surely after a certain manner did we at first counsel against them and could not prevail over them. 22 Now therefore give you also advice against them by which we may prevail over them. 23 And Balaam answered the king, saying, Send now and call thy two counsellors, and we will see what their advice is upon this matter and afterward thy servant will speak. 24 And the king sent and called his two counsellors Reuel the Midianite and Job the Uzite, and they came and sat before the king. 25 And the king said to them, Behold you have both heard the dream which I have dreamed, and the interpretation thereof; now therefore give counsel and know and see what is to be done to the children of Israel, whereby we may prevail over them, before their evil shall spring up against us. 26 And Reuel the Midianite answered the king and said, May the king live, may the king live forever. 27 If it seem good to the king, let him desist from the Hebrews and leave them, and let him not stretch forth his hand against them. 28 For these are they whom the Lord chose in days of old, and took as the lot of his inheritance from amongst all the nations of the earth and the kings of the earth; and who is there that stretched his hand against them with impunity, of whom their God was not avenged? 29 Surely thou knowest that when Abraham went down to Egypt, Pharaoh, the former king of Egypt, saw Sarah his wife, and took her for a wife, because Abraham said, She is my sister, for he was afraid, lest the men of Egypt should slay him on account of his wife. 30 And when the king of Egypt had taken Sarah then God smote him and his household with heavy plagues, until he restored unto Abraham his wife Sarah, then was he healed. 31 And Abimelech the Gerarite, king of the Philistines, God punished on account of Sarah wife of Abraham, in stopping up every womb from man to beast. 32 When their God came to Abimelech in the dream of night and terrified him in order that he might restore to Abraham Sarah whom he had taken, and afterward all the people of Gerar were punished on account of Sarah, and Abraham prayed to his God for them, and he was entreated of him, and he healed them. 33 And Abimelech feared all this evil that came upon him and his people, and he returned to Abraham his wife Sarah, and gave him with her many gifts. 34 He did so also to Isaac when he had driven him from Gerar, and God had done wonderful things to him, that all the water courses of Gerar were dried up, and their productive trees did not bring forth. 35 Until Abimelech of Gerar, and Ahuzzath one of his friends, and Pichol the captain of his host, went to him and they bent and bowed down before him to the ground. 36 And they requested of him to supplicate for them, and he prayed to the Lord for them, and the Lord was entreated of him and he healed them. 37 Jacob also, the plain man, was delivered through his integrity from the hand of his brother Esau, and the hand of Laban the Syrian his mother’s brother, who had sought his life; likewise from the hand of all the kings of Canaan who had come together against him and his children to destroy them, and the Lord delivered them out of their hands, that they turned upon them and smote them, for who had ever stretched forth his hand against them with impunity? 38 Surely Pharaoh the former, thy father’s father, raised Joseph the son of Jacob above all the princes of the land of Egypt, when he saw his wisdom, for through his wisdom he rescued all the inhabitants of the land from the famine. 39 After which he ordered Jacob and his children to come down to Egypt, in order that through their virtue, the land of Egypt and the land of Goshen might be delivered from the famine. 40 Now therefore if it seem good in thine eyes, cease from destroying the children of Israel, but if it be not thy will that they shall dwell in Egypt, send them forth from here, that they may go to the land of Canaan, the land where their ancestors sojourned. 42 And the king said to Job the Uzite, What sayest thou Job, and what is thy advice respecting the Hebrews? 43 So Job said to the king, Behold all the inhabitants of the land are in thy power, let the king do as it seems good in his eyes. 44 And the king said unto Balaam, What dost thou say, Balaam, speak thy word that we may hear it. 45 And Balaam said to the king, Of all that the king has counselled against the Hebrews will they be delivered, and the king will not be able to prevail over them with any counsel. 46 For if thou thinkest to lessen them by the flaming fire, thou canst not prevail over them, for surely their God delivered Abraham their father from Ur of the Chaldeans; and if thou thinkest to destroy them with a sword, surely Isaac their father was delivered from it, and a ram was placed in his stead. 47 And if with hard and rigorous labor thou thinkest to lessen them, thou wilt not prevail even in this, for their father Jacob served Laban in all manner of hard work, and prospered. 48 Now therefore, O King, hear my words, for this is the counsel which is counselled against them, by which thou wilt prevail over them, and from which thou shouldst not depart. 49 If it please the king let him order all their children which shall be born from this day forward, to be thrown into the water, for by this canst thou wipe away their name, for none of them, nor of their fathers, were tried in this manner. 50 And the king heard the words of Balaam, and the thing pleased the king and the princes, and the king did according to the word of Balaam. 51 And the king ordered a proclamation to be issued and a law to be made throughout the land of Egypt, saying, Every male child born to the Hebrews from this day forward shall be thrown into the water. 52 And Pharaoh called unto all his servants, saying, Go now and seek throughout the land of Goshen where the children of Israel are, and see that every son born to the Hebrews shall be cast into the river, but every daughter you shall let live. 53 And when the children of Israel heard this thing which Pharaoh had commanded, to cast their male children into the river, some of the people separated from their wives and others adhered to them. 54 And from that day forward, when the time of delivery arrived to those women of Israel who had remained with their husbands, they went to the field to bring forth there, and they brought forth in the field, and left their children upon the field and returned home. 55 And the Lord who had sworn to their ancestors to multiply them, sent one of his ministering angels which are in heaven to wash each child in water, to anoint and swathe it and to put into its hands two smooth stones from one of which it sucked milk and from the other honey, and he caused its hair to grow to its knees, by which it might cover itself; to comfort it and to cleave to it, through his compassion for it. 56 And when God had compassion over them and had desired to multiply them upon the face of the land, he ordered his earth to receive them to be preserved therein till the time of their growing up, after which the earth opened its mouth and vomited them forth and they sprouted forth from the city like the herb of the earth, and the grass of the forest, and they returned each to his family and to his father’s house, and they remained with them. 57 And the babes of the children of Israel were upon the earth like the herb of the field, through God’s grace to them. 58 And when all the Egyptians saw this thing, they went forth, each to his field with his yoke of oxen and his ploughshare, and they ploughed it up as one ploughs the earth at seed time. 59 And when they ploughed they were unable to hurt the infants of the children of Israel, so the people increased and waxed exceedingly. 60 And Pharaoh ordered his officers daily to go to Goshen to seek for the babes of the children of Israel. 61 And when they had sought and found one, they took it from its mother’s bosom by force, and threw it into the river, but the female child they left with its mother; thus did the Egyptians do to the Israelites all the days.